Paypal just gave Amazon an early Christmas, and possibly someone the chance to be the next Elon Musk. JamesSWD, onestepforward and tomkaten like this. "PayPal has said that anyone who disagrees with any of their new terms is free to close their account." This is the statement of a company giving the middle finger to its customers. JamesSWD, onestepforward, orondf and 14 others like this. Looks like PayPal has been hanging out with EA. Bluescreendeath, Burty117, Eldritch and 3 others like this. The seller loses the customer, transaction fees, seller fees, shipping fees and if able to resell the item it has to be sold as used or open box. No way to recover the lost. If this isn’t a desperate move to save the PayPal. 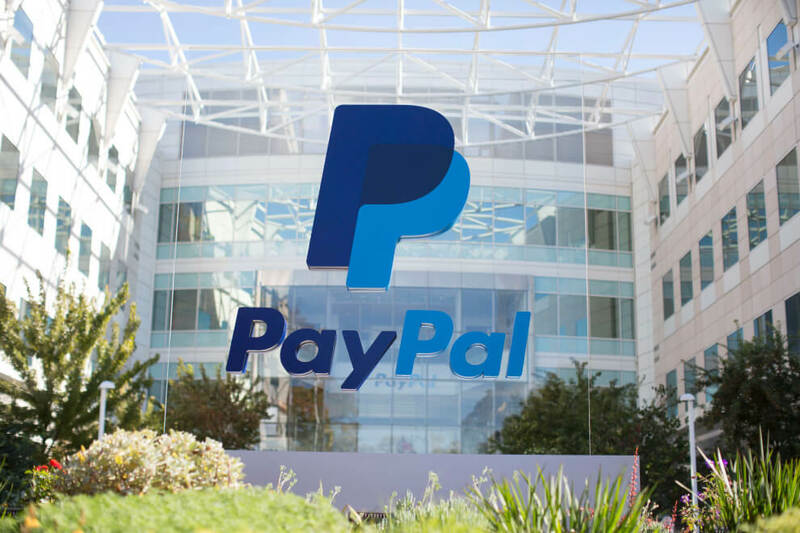 We’ll see how Daniel Schulman respond when amazon, apple Facebook, Venmo, cashapp and others become direct competition with merchant service providers PayPal. Richard GAZ and Evernessince like this. There is a stupid management of PayPal. This is the time to change them! What I don't get is: How can PayPal legally keep the commission percentage when the sale was reversed? The flat $0.30 fee is for the transaction and is the amount paid to processes the transaction and I can understand them keeping that. But to keep a commission on a canceled or reversed sale? No other credit card / payment processor does that. You shouldn't be taking a cut of a canceled sale. Imagine if eBay or Amazon decided to keep their 12 -20% commission as well, even for returned or canceled sales? It's ridiculous. The average return rate for an online computer parts vendor is 4.8%. Many of those returns are due to customers changing their mind, can't get the product to work in their system, new products released and they are returning to get the new stuff, shipping damage, ect. Now imagine you are a medium sized business with 95,000 sales a month. That's 4,560 returns. Assuming the average sale price is $200, you are paying $26,448 in additional fees (not including shipping, marketplace fees, ect). That's not including the fact that you are going to be paying that PayPal commission fee again when another customer buys it, only it will be open box. Mind you that's only looking at a single fee and doesn't include marketplace fees, shipping fees, ect. When you have a return you have to pay shipping both ways for the original customer and again when another customer buys it. All of these additional costs add up and simply make it harder for small sellers to compete. They aren't Amazon, who has their own payment system and marketplace and have exclusive deals with the carriers. Eldritch, MaXtor and Bubbajim like this. They can simply say the package they got was empty. Power corrupts, absolute power absolutely corrupts. Wait! Paypal is still relevant? Ebay is still a thing? This was more shocking than that commission part. In my personal experience, I haven't bought anything from ebay in last 4 years and didn't log in to my paypal for several years. None of the people I know uses ebay or Paypal to best of my knowledge and still, they have the gall to do this. Its just like Nokia saying they wont support android. eBay's policy is the buyer is always right. A buyer can claim anything they want; item not as described, broken, or straight up lie and say they never got it and eBay will happily give them a refund (out of the seller's wallet of course). Paypal makes things even worse buy giving buyers a full six months to decide they want to return something, and now this. In the end the consumer pay in the form of higher prices to cover this loss to the seller. I feel this is just going to push more sales to craigslist or other such sites. Ebay and Paypal have gotten too big for their britches, and they are scaring away their core userbase. Whoa, really? What is paypal doing to deserve all that money? This is a total joke like the government is for online sales. They are trying to force out-of-state purchases to pay sales tax - a 10% tax increase overnight... for effectively doing NOTHING. I haven't sold anything on ebay in over a decade. I was just about ready to have a "garage sale" on ebay. I just needed to start taking photos. I was also looking to sell my vehicle worth about $12,000-$15,000. So if they show up and don't like it, I am screwed by PayPal? Uh... NO. I will be deleting my paypal account. Now, where is the next best place other than ebay? Local FACEBOOK MARKETPLACE. I did it once, a lot of people on their! Thank you but I tried it. No success. I was wondering if there was another auction site. Wow, what an arrogant stupid way to turn your monopoly into the least desrable option among a flood of new competitors. Smooth move Paypal. Why didn't you just tell all your customers to fo because that's what most of them are going to do. I can think of a number of industry behemoths with the programming power to create competition virtually overnite and the wallet to mass market a huge presence in the same time frame. All they have to do now is offer marginally better terms and they'll be instant major players in a formerly very exclusive market. Greed and stupidity are synonyms in the computer industry unless you have some really good patents but I don't think PayPal has those protecting their share of this market.